Rhino Mister and Rhino Miss gaze at the moon in rhino bliss. They rub their rhino tusks like this. And now you've seen rhinocerkiss! 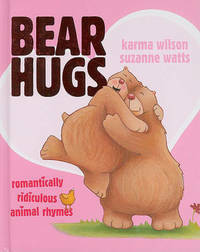 Join the fun in the romantically ridiculous and the ridiculously romantic escapades of your favorite animals!